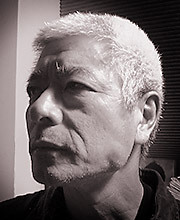 Togo Igawa is one of the leading Japanese classical actors. After training at the Actors Theatre (Haiyûza Yôseijo) and Tôhô Gakuen Drama College, he was a founder member of the Black Tent Theatre and, more recently, of the ichiza theatre company. He has appeared in theatre, film, radio and television. Theatre work includes Pacific Overtures by Stephen Sondheim at the Donmar Warehouse, which won the Olivier Award for Best Musical. He has worked extensively in film including Memoirs of a Geisha, Eyes Wide Shut, Topsy-Turvy, The Last Samurai and Revolver.